Denver Area is working with the Tri Sigma Foundation on Endowing two scholarships to help leaders within Tri Sigma. Click here and designate your donation to one of the two scholarships. 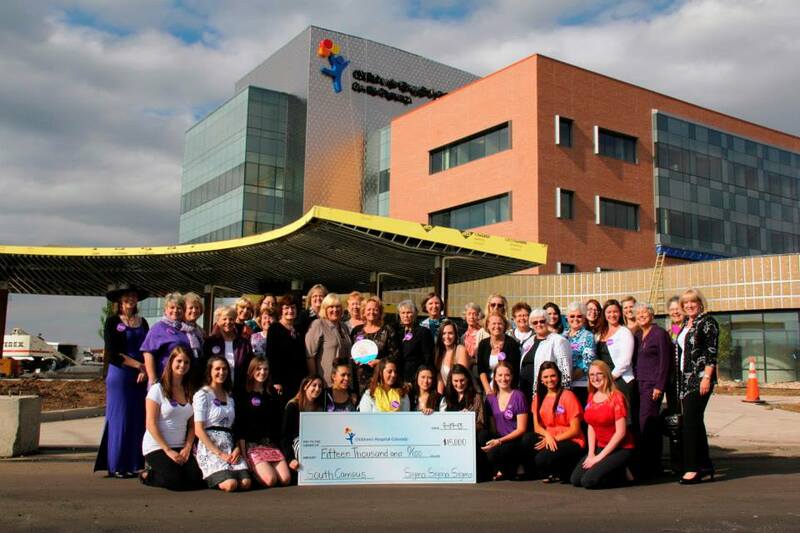 The Denver Area Alumnae Chapter, Eta Pi Chapter at Metro State University of Denver and the Tri Sigma Foundation funded a Child Life Activity Room in 2012 for the Children’s Hospital South Campus in Highlands Ranch, Colorado. This room allows the child life therapist access to play materials for children having treatments or who are admitted for short term stays. Having developed a wonderful relationship with the Children’s Hospital Colorado Foundation, the Denver Area Alumnae chapter approved the creation of a $50,000 Endowment Fund for Child Life Therapy in Children’s Hospital facilities across the state of Colorado. This means that children in smaller towns will have the same play therapy opportunities as those living in Denver! The Denver Area Alumnae has completed half of the Endowment in 2016. As partner in creating this fund The Sigma Sigma Sigma Foundation will complete their match by the year 2018. Volunteering and donating play therapy items to Children’s Hospital is a priority for the Denver Area Alumnae chapter, but members also volunteer at many organizations across the metro area. Check out our chapter events page to see our sisters in action around the community.